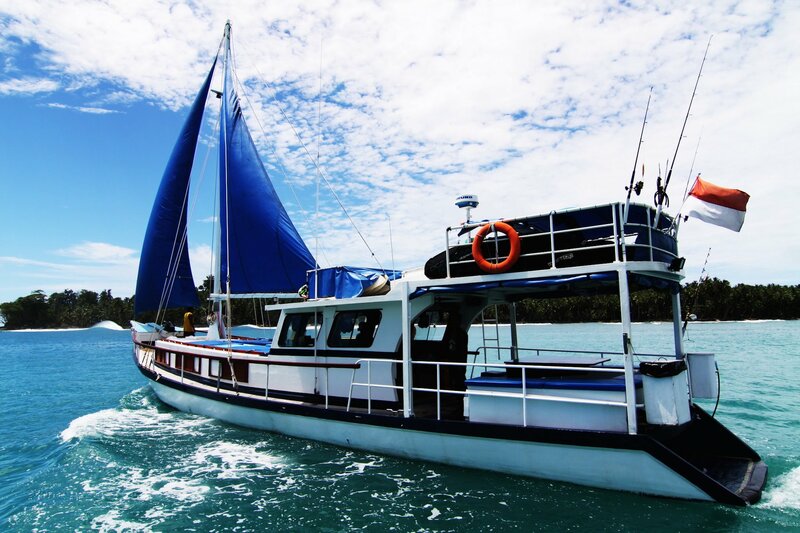 The Nusa Dewata Surf Charter will take you around the Mentawais and up to Telos Islands on request. They take a maximum of 6 pax and specialise in small groups, long boarders, families and all girls trips. They take single bookings but need at least 5 surfers per trip. It’s a traditional timber boat and uses the sail when the wind is out. The owner guides on most of the trips. 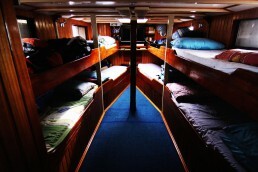 The Nusa Dewata offers dorm style accommodation with airconditioning and widened bottom bunk beds. There is enough shaded deck area to relax in between sessions and a fully kitted entertainment-lounge area. Game fishing and snorkelling equipment is on board plus an 11’ SUP. 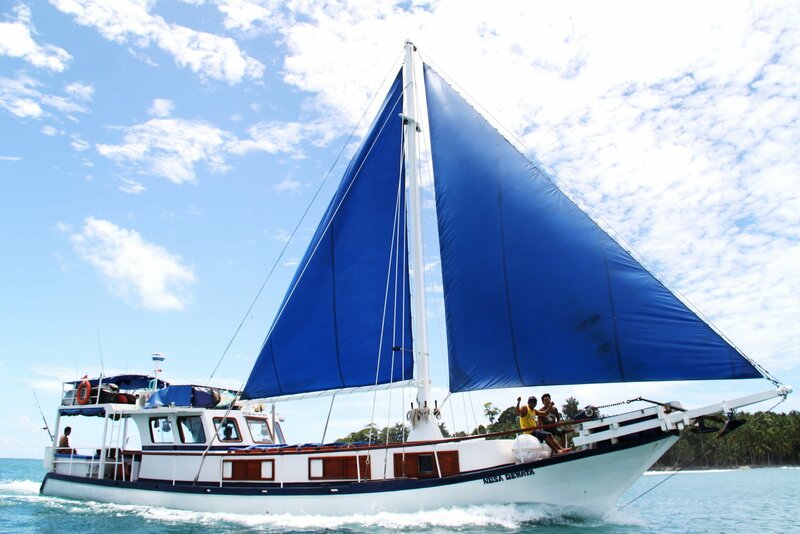 The Nusa Dewata Surf Charter Boat takes you on a surf charter trip to the Mentawai Islands and Telos on request. 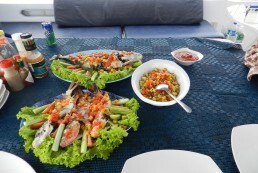 They specialise in small groups of up to 6 pax. Single bookings are possible. 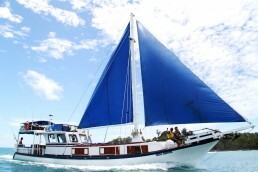 The Nusa Dewata is one of the first timber boats built in Indonesia. It has been lengthened, widened and renovated for surfing trips. 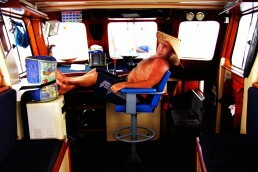 The boat is featured in different magazines and videos. The boat uses its sails when there is wind for more stability and economy. Therefore it makes it one of the prettiest boats around. Cruising speed is 8 knots. They have a fixed schedule of 11 nights with 10 days of surfing or longer on request. The owner guides himself on most of the trips. 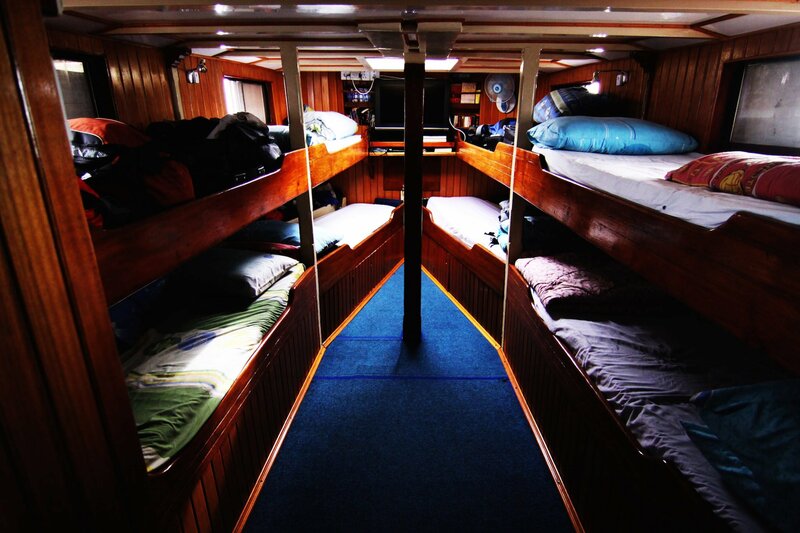 The dorm style accommodation is fully airconditioned with widened bottom bunk beds. There is a marine toilet with shower. The outdoor shower is perfect for after the surf. The aluminium speedboat takes you to the waves or out fishing or snorkelling. There is game fishing and snorkelling gear available. There is a TV with a DVD player on board, an iPod and a laptop computer. 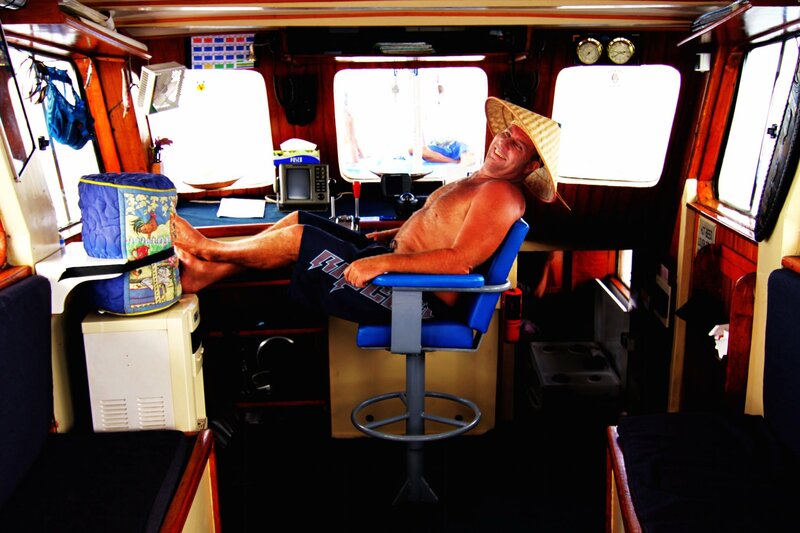 A 15 man life raft and all necessary equipment for your safety are onboard. The Nusa Dewata Surf Charter Boat is very well maintained and the engine has been rebuilt. The boat is cleaned and painted every year. In other words, the owners are very fanatical about the upkeep and maintenance. 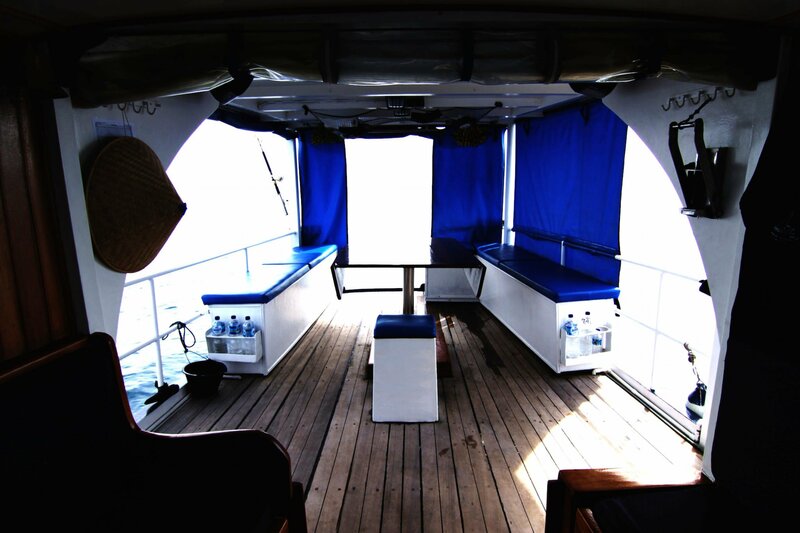 The Nusa Dewata has a full teak interior. There is lots of shaded outside deck area to relax in between surf sessions. Surf Charter trips onboard Nusa Dewata are all included. That is to say they provide 3 beers and meals per day with water, sodas and snacks. The chef will prepare tasty Indonesian and western dishes. A free t-shirt, beer cooler and stickers are extra. 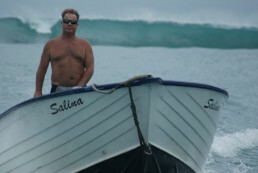 And free surf coaching and sailing coaching are available for those who want. A photo CD is available for US$ 70. You can order extra beer up front and short golfing tours can be arranged. Departure tax and tips for the crew are not included in the trip rate. The crew is very disciplined and will make sure you experience a fantastic surf trip.